With Data Centers continuing to grow exponentially both in size and utility requirements ONE9 3NINE Consulting continues its Data Center Management discussions by asking how will management monitor these new growth related infrastructures? With an ever complex power and cooling infrastructure, how are managers monitoring their infrastructure and what provisions are being made to bring data center facility management up to date? Dell state that, “As the cost of operating data centers skyrockets, IT professionals struggle to achieve greater energy efficiency while getting the most processing power possible from their environment.”, but what is driving the growth? As the cost of operating data centers skyrockets, IT professionals struggle to achieve greater energy efficiency Hp suggest a possible reason for skyrocketing cost stating ; “Soaring demand for information technology, increasingly powerful microprocessors, the growing popularity of compact blade servers means that data centers are more densely packed than ever “. Damion Lock, Managing Director or ONE9 3NINE Consulting confirms the current growth and possible lack of management preparedness stating, “we see many Data Center owners in the Middle East expanding data center infrastructure, but based on existing corporate management policies and this needs to change”, he continues, “bridging the gap between new infrastructure development, facilities management and company policy is going to become an uphill struggle”. Today, energy is the most costly resource as far as a Data Center is concerned. This implies that consistent, granular power management can not be ignored any more. 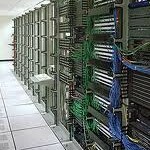 Monitoring power consumption and other performance data in data centers has been a herculean task. To the extent that operators in many Data Centers have shunned it. Energy efficiency in the data center in not only for environmental reasons, but also for economic benefits seen when Green IT is incorporated into data center technology. The term “green” means analyzing, measuring and controlling power consumption to facilitate effective capacity planning with aptitude to implement change for decreased consumption – Resulting to improved energy efficiency, controlled carbon footprint and improved overall company ROI.